Assassination of President Lincoln in his private box at Ford's Theater, Washington, April 14, 1865. The named characters are: Booth, Mr. Lincoln, Mrs. Lincoln, Miss Harris and Major Rathbun. 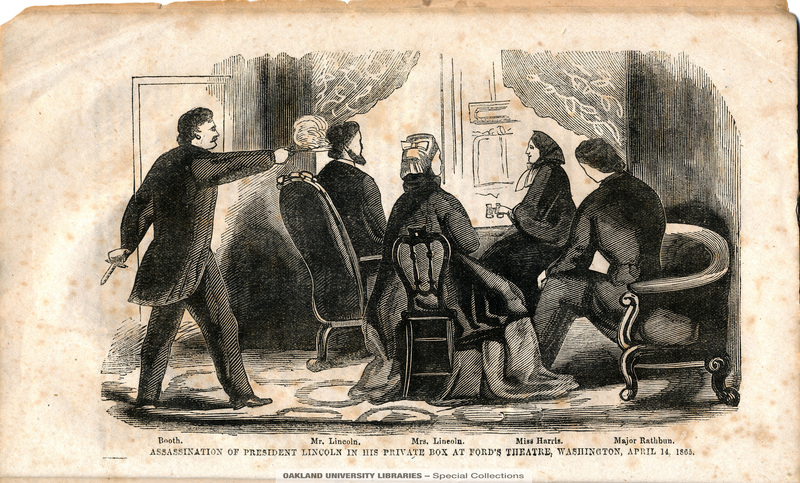 Illustration from an early account of Lincoln's death, "The Terrible Tragedy at Washington: Assassination of President Lincoln."